Despite what the name suggests, a commercial vacuum cleaner is not something that just cleaning businesses or big companies need to buy. In fact some commercial vacuum cleaners are even cheaper and better than some high end regular vacuum cleaner. We looked at the best products in the market and came up with this list of the top 10 best commercial vacuum cleaners available in the market in . These are excellent units for any business or corporation that has acres of carpets that need vacuuming, and we have highlighted for you the ones that may be a good deal for both a business or for personal use. We are going to start with a short table, highlighting the best features of each product, and then we are moving on to giving you a detailed review for each product. 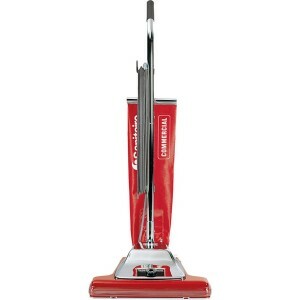 We decided to start with what could be called the people’s choice commercial vacuum cleaner, the Oreck Commercial 2100RHS. It has received a 4.5 star rating on Amazon from over 140 users, and that is doubly impressive since it is not really one of the cheapest models on this list. But there are good reasons why it received such a high commendation. It is one of the lightest commercial vacuum cleaners, at just 8 pounds, and it is also one of the most powerful. It has an easy to use handle, designed to be user friendly with arthritic patients. 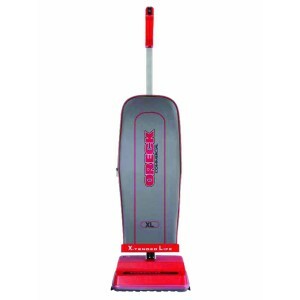 Despite all these features, the Oreck Commercial 2100RHS is also a very powerful vacuum cleaner with a double brush role system that drives the dirt towards the 12 inch mouth of the vacuum cleaner. And its filters are hypo allergenic so all the dirt, dust and pollen get trapped inside the vacuum cleaner. There are just 2 names that dominate the commercial vacuum cleaner market – although we are going to feature products from more manufacturers, in order to give you a wider choice of products – and they are Oreck and Sanitaire. Oreck stands for uncompromising quality, while Sanitaire focuses more on delivering exceptional products at affordable prices. So the Sanitaire SC679J is a good choice for both businesses and private parties. It has a 5 Amp motor so it is way above what you would get from a regular vacuum cleaner and, at 12 pounds, it is quite comfortable to use. Its other interesting feature is the shake out bag it uses, which, as the names suggests, can be easily emptied out so you do not have to worry about buying new bags. If you do not mind paying that little bit extra for more power, the Oreck Commercial U2000R-1 may be a more attractive offer for you than the Oreck Commercial 2100RHS. It comes with all the same goodies, including the double brush system rotating at 6500 RPM or rotations per minute to get the dust in the mouth of the vacuum cleaner. 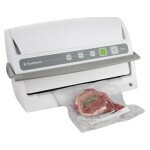 It weighs in at just 8 pounds and it uses the same Helping Hand handle that the 2100RHS does. The only difference is that the Oreck Commercial 2100RHS is slightly more powerful with its 4 Amps motor. 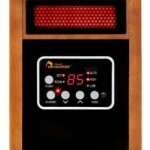 And it too received a 4.5 star rating from more than 70 customers. 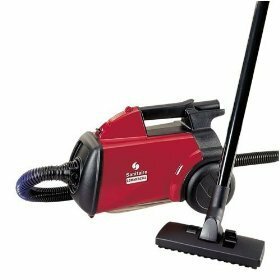 For those of you who just want a home vacuum cleaner with the power and performance of a commercial vacuum cleaner, the Sanitaire SC3683A is the perfect choice. It is way too small to be useful to a big cleaning business or a big corporation, but it is perfect for mid size to small businesses. It has a 10 Amps motor, which is on the upper range in terms of power, and it can be equipped with a HEPA filter so it will also be the perfect weapon against any and all allergens. And it is also one of the cheapest commercial vacuum cleaners you are going to find out there. The Hoover CH3000 has several note worthy differences from the other commercial vacuum cleaners we have talked about so far. For one, it looks more like a traditional vacuum cleaner and that basically means there are a lot more places where you can get it into. However, it is much closer to a regular vacuum cleaner with its 2.2 Amps motor. The big difference is that you can turn it into a blower with the flips of a switch, and that makes it a very special item among the commercial vacuum cleaners available on the market in . We have been focusing a little bit too much on small businesses, so now we would like to introduce the perfect answer for big corporations, schools or businesses: the Sanitaire SC899F. There are several reasons why this is clearly a big business vacuum cleaner, but the most important one is that it is one of the most expensive vacuum cleaners that we deemed good enough to be on our top 10 best commercial vacuum cleaners list. The second reason is that it has a 16 inch cleaning path so it is clearly too bulky for small residences. It is also worth mentioning that it has a powerful 7 Amps motor that can deal with any type of dirt or debris in its path. And also keep in mind that, despite its price tag, it has earned a 4.8 star rating on Amazon. We decided to feature the Oreck Commercial U2000R-1 elder brother because it has just one additional, very important feature: the Oreck Commercial U2000RB-1 has a cogged V-belt. That makes it one of the sturdiest commercial vacuum cleaners on the market today. 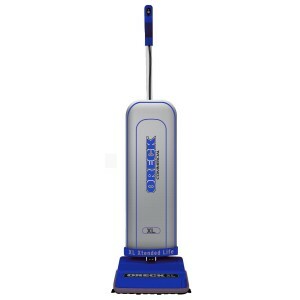 It has all the features that you would expect to find on an Oreck and that slip free cogged belt so, although it is pricier than the other Oreck units, it is also the best choice for a cleaning company that moves its cleaners from one job to another and is using them daily. Sometimes it is the little guys that surprise you the most and we were truly impressed with the Carpet Pro CPU. It uses a powerful 10 Amps motor and a 12 inches metal roller brush. That immediately puts it in the same class as all the Oreck and Sanitaire products we have talked about so for. However, what has really caught our attention is the 4 stage electrostatic filtration system. It is just as powerful as a HEPA filter but it uses a completely new technology and we were very impressed to see that the team from Carpet Pro are such impressive innovators. 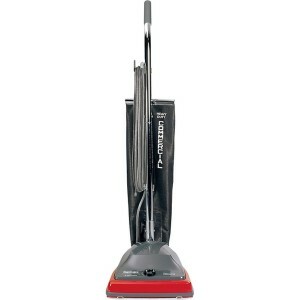 The last Sanitaire commercial vacuum cleaner we are going to feature here is the Electrolux Sanitaire EUKSC785AT. It is actually a joint venture between Electrolux and Sanitaire so you know you are getting the best that both worlds have to offer: the user friendly capabilities of Electrolux and the commercial vacuum cleaner technology from Sanitiare. The Electrolux Sanitaire EUKSC785AT actually uses a double motor system. The vacuum motor develops 6.5 Amps of power, while the secondary motor powers the brush roll. 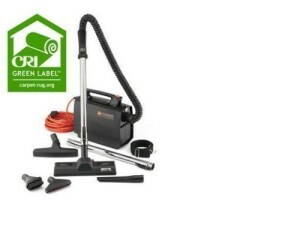 However, if you want to use it as a traditional vacuum cleaner you can simply switch to its hose application, making this the perfect home commercial vacuum cleaner. Finally, we wanted to feature a higher price commercial vacuum cleaner looks like and we were not disappointed. It does cost a lot more but the ProTeam 104867 has a more modern look than any of the other units we have featured here, and it has several internal electronic sensors. That means it will tell you when you have to empty out the bag, or if the belt has fallen from the rollers.